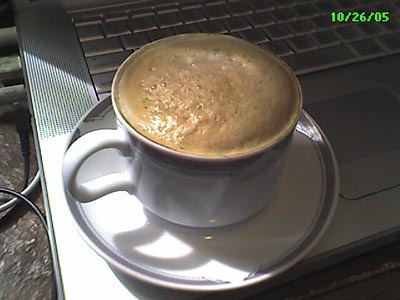 Time for a cappuccino break as I listen to the latest podcast about NaNoWriMo. Convinced another person to join in the novel writing challenge and she’s already outlined 10 chapters! Yikes! Previous PostPrevious Steve Jobs! Send me and Adam Curry a new PowerBook! Right now!